We carry a lot of weight on our shoulders, literally and figuratively. Living an active life—doing household choirs, participating in sporting events and playing with kids—are highly dependent on the move of these joints. Even seemingly passive activities, like working at a desk or typing on a keyboard, rely on our shoulders functioning properly and comfortably. Sometimes we only realize how important they are when we experience shoulder pain. To get back to any activity, we need to find out what’s wrong and how to fix it. 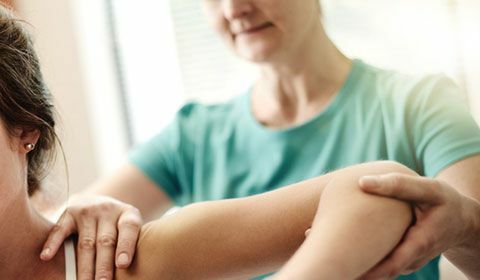 The first step in finding solutions for proper shoulder care and pain relief, is understanding all the parts involved in the shoulder and how they work. One of the largest, most complex joints in your body, the shoulder is the intersection of three bones: the humerus (upper arm bone), the scapula (shoulder blade) and the clavicle (collarbone). The ball and socket joint connects your humerus to your scapula in a cup-like indentation. The scapula also connects to the clavicle. The joint capsule, the envelope of connective tissue surrounding the joint, which is very loose to allow for mobility. The muscles and tendons that make up the rotator cuff, which provide movement and stability. The bursas, small fluid-filled sacs, which reduce friction and aid with movement. The labrum, the cartilage that forms in the cup-like indentation, which allows the humerus to move within the scapula. As the most mobile joint in the body, the shoulder is quite vulnerable to injury, requiring medical care and physical therapy treatments. Many of these injuries are caused by trauma (i.e. getting hit in the shoulder or using the arm to break your fall). However, age, repetitive overhead activities (i.e. painting, swimming or weight lifting), weak muscles and muscle imbalances can also be contributing factors. A traumatic injury, like falling or getting hit, can cause the humerus bone to pop out of the socket, resulting in a shoulder dislocation. When this happens, surrounding tissue is also damaged, meaning that having a medical professional “pop” your shoulder back into place is not the only solution required. Stabilizing the joint with a sling or brace is often required, along with physiotherapy for proper healing. Repeated dislocations may cause chronic pain and instability, requiring corrective surgery. 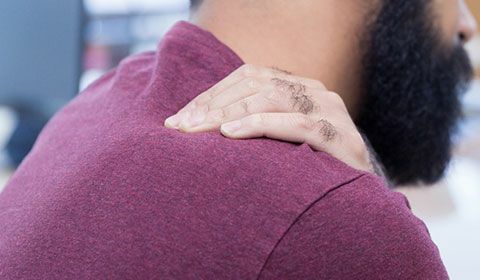 Like a dislocation, a shoulder separation is often caused by a fall or blow to the shoulder, resulting in a tear to a ligament that connects your clavicle (collarbone) to your scapula (shoulder blade). The clavicle can then move out of position and cause shoulder pain. Heavy lifting or repeated overhead movements can cause rotator cuff tendonitis or shoulder tendonitis. When this happens, the tendons in the rotator cuff become irritated and inflamed, resulting in shoulder joint pain that may even continue down into the arm. The pain may be minor at first, building up over time. If you don’t seek treatment, rotator cuff tendonitis can develop into a rotator cuff tear. Age can be a factor in rotator cuff bursitis, or shoulder bursitis, which happens when a bursa is inflamed. Excess fluid builds up inside the sac, putting pressure on surrounding tissue. Any movement in the shoulder would cause severe pain. A rotator cuff tear is a common injury, especially among athletes. It can involve a partial tear of the tendon or a complete tear, going all the way through a tendon or pulling it from the bone. There will be pain in the shoulder and arm, as well as difficulty with movement. If you’re experiencing stiffness, pain and a limited range of motion in your shoulder, it could be frozen shoulder, or adhesive capsulitis. It happens as a result of inflammation, which causes pain first then stiffness second, as scar tissue forms around the area. Injury and overuse of the shoulder are common causes, but health conditions like diabetes, arthritis and stroke, as well as post-surgery healing can also lead to frozen shoulder. Beyond injuries, other conditions may cause shoulder pain, such as arthritis and fibromyalgia, a disorder with unknown origins that causes muscle pain and fatigue. The aches and pains often occur near the joints, including tender points in and around the shoulder blades. Soreness in the shoulder doesn’t necessarily mean that something is wrong—it could just be the result of an intense workout. Chiropractors and physiotherapist can both treat shoulder pain, but using different treatment options. 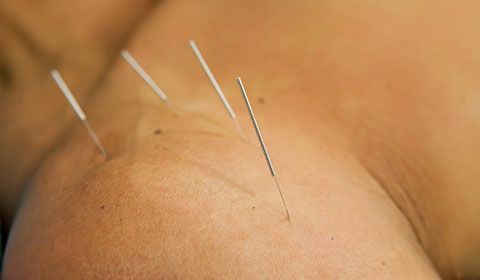 A physiotherapist utilizes a wide range of tools and techniques for shoulder injury care (exercises, acupuncture, massage, education on prevention, etc., as mentioned above), whereas a chiropractor is focused on joint manipulation and perhaps muscle release techniques. Shoulder dislocation vs. shoulder separation: What’s the difference? Chiropractors vs. Physiotherapists: Which one should you choose?